The Weeknd is a Toronto-based R&B singer named Abel Tesfaye. 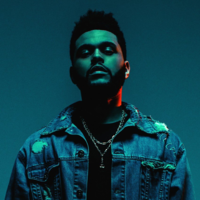 Songs recorded under The Weeknd name first leaked in late 2010, though the identity of the individual behind the project was initially unknown. The Weeknd released a nine-song album, House of Balloons, on 21 March 2011. The album is a part of a trilogy which includes Thursday and Echoes of Silence, to be released in the summer and autumn respectively.